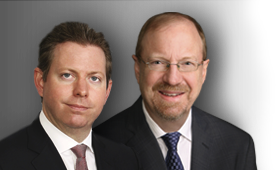 Elliott Gue and Roger Conrad have created two actively managed model portfolios that reflect investors varying objectives and risk tolerances. The Conservative Portfolio concentrates on our favorite lower-risk names with a smattering of medium-risk stocks thrown in for good measure. This strategy generates much of its total return from dividend accumulation and aims to entail less volatility. The Aggressive Portfolio seeks to deliver outsized returns by taking calculated risks on names that offer the best upside potential. This strategy includes a number of higher-yielding names and entails significant exposure to commodity prices. To order by phone, 877-302-0749. Sherry will be happy to take your order Mon.-Fri., 9:00 am-5:00 pm ET.